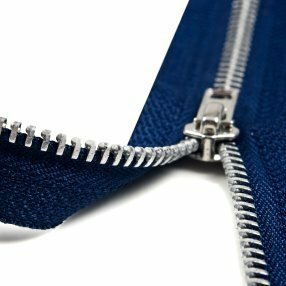 Whether it is stuck up or down, a stuck zipper can make it impossible to wear clothing or use an item. Usually you can get the zipper going again with a little effort. This is a guide about fixing a stuck zipper. There is nothing more frustrating than something needing a zipper fix when the clothing is still wearable. I hate doing zippers in clothing. TADA! Found a fairly inexpensive idea - better than throwing away and buying new. Most dry cleaners have a tailor or repair section. Prices may vary slightly. I sent in a good men's heavy Carhart winter jacket to have a new zipper done, $20. That was in my price range, knowing my frustration in doing it and replacing it at over $100. Picked it up and it was only $6. Found out, most items such as coats, etc. just need the little metal clip changed out, not the whole zipper. For me to buy the zipper needed at the sewing shop would be close to $10. The $6 was cheap, and a total zipper being $20. It still would be $10 for labor. I have only taken jackets, kids coats, etc. in and they all ended up with the only the clip replaced! Cheaper than throwing away something usable. I have found that the easiest way to make a zipper work smoothly is to rub a cake of soap (any kind) along the zipper edges. That zipper with go up and down smoothly. For those clothing items where the fabric always seems to catch in the zipper; try this fix. Unstick material caught in zipper. Get and heat up the glue gun. Fold loose material away from zipper (hand crease to get ready to glue). Starting at opening end of zipper, apply a very small drop of hot glue and press the creased material onto the glue and away from the zipper. Repeat every 1-2 inches glueing the material firmly, neatly and smoothly away from the zipper. Can be redone over and over. Do not overlap reglue second passes. Carefully spray the zipper with Pam being careful not to get it on any material of the garment. I tape a strip of Saran Wrap beside the zipper prior to using the Pam. Good luck. If your zipper is stuck, use a graphite pencil along the teeth back and front and, presto, it works again! To fix a stuck zipper, rub up and down the zipper with bee's wax. I don't know where I got this idea, but it works like a charm! Rub some paraffin wax on zippers that are tough to operate or tend to get stuck. What are some good ways to get a zipper unstuck? Thanks! WD40! Haha, it works on everything, if you're worried it might stain clothes just spray some cooking spray onto the zipper. It should come loose after a few tugs. Good luck! If fabric is stuck in the zipper, you can gradually work it loose. It takes time, but what you do is tug the zipper a little, try to remove a little of the fabric, and keep repeating until it is all loose. Try running a lead pencil up and down the the zip, don't know how it works but it usually does. I've used a candle(wax)or a bar of soap. Use either on both sides of the zipper. Good luck. If you are out some place and your zipper gets stuck, rub a tiny bit of lip balm on the teeth of the zipper (open and closed) above and below the zipper glide. Gently rub the balm into the teeth with your fingers. Then gently tug and wiggle the zipper pull up and down toward this greased area. Unlike other solutions, the lip balm should not stain your clothes and can be done easily at home or on the road. Do you have zippers that don't operate smoothly? To make a zipper slide better, rub a bar of soap over the teeth. Rubbing a pencil over the zipper teeth with work also.Sliding it up and down to work the lead in well. Sliding a candle up and down over the zipper teeth works all the time! One of the BEST remedies I found are wax Crayons!! Try it! As long as your careful and only touch the metal zipper when it's done up, I always use the WD40 pen. Sounds really awful and stinky but, it's so handy to have this around the house for things like this. 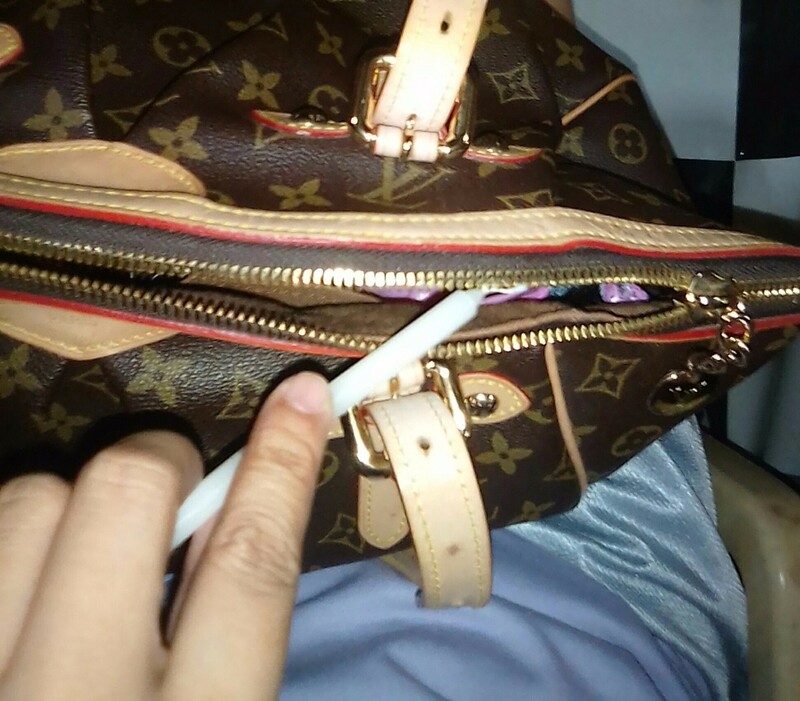 If I use this method to unstick a stuck zipper, I always make sure to put paper towel behind where I'm working, (folded up in case I go a little nuts) to soak up any excess and make sure I'm ready to go. And the great thing about this method is that it's completely colourless and the pens are pretty much scent-free. I have a zipper that sticks all the time. What can I do with it to make it better? You could also try a rubbing a candle on it. Rub a bar of soap on it or a candle. This lubricates it. This works on an open or closed zipper. Another fix temporary fix that I love is to use a TINY bit of Dimethicone based anti-frizz product for hair. One kind is called "Frizz-Eze" another is called "Citre-Shine". This stuff will lube up anything! Just put one drop on your finger & rub it back & forth between fingers & thumb. When most of it is rubbed into your hands & you only have only a TINY bit left, rub your finger down the inside of the open zipper. Never use cooking oil as it will turn rancid. TINY amounts of Mineral oil or Baby Oil can also work. * Don't use a pencil on light colored clothing! It can rub off & stain the fabric. & use only a white candle on light colored clothing just to make sure. Graphite works best on metal zippers, not so well on plastic. Run a bar of soap over it then work zipper up and down to work it in. My zipper is stuck at bottom. One side is where it should be, but the other side is stuck on track. If I pull the closed part of the zipper, it separates. This sounds like one of the teeth on the zipper is broken or bent. Check the bottom of the zipper area where it is not closing correctly and see if you can adjust the teeth to close the zipper. If not then you need to use a needle and thread to stop the zipper above the area where it is not closing correctly. Otherwise replace the zipper on the item. You have to sew across the bad part so the zipper doesnt zip down so far. Sometimes a stuck or hard to close zipper can be fixed by rubbing it with candle wax. This is a guide about lubricating a zipper with candle wax. If you have a sticky zipper on a piece of clothing, try rubbing the zipper with a pencil. The graphite in the pencil should help lubricate the zipper. A bar of soap also can be effective. This works on metal zippers. For plastic ones, run a candle across the teeth. This also works for the metal ones.